Audi A4 Avant Interior, Sat Nav, Dashboard | What Car? You won’t have many issues getting comfortable thanks to a generous range of seat and steering wheel adjustment. Sport, S line and Black Edition models have sports seats that hold you in place more securely through corners than those in the entry-level SE model. However, if SE trim takes your fancy, we recommend you add adjustable lumbar support to help ensure a comfortable posture on long journeys and ward off potential back problems. Sport models and above get this important feature as standard and fully electric seats are optional across the range. With fairly narrow windscreen pillars, you get a decent view forward in the A4 Avant. The size and shape of the door mirrors give you a good view of what’s coming up alongside, too. 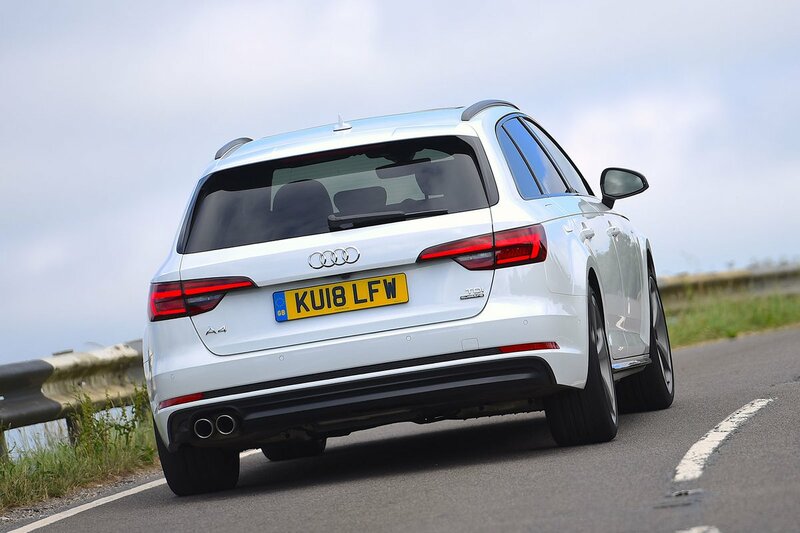 The Avant’s estate car shape also opens up the view rearwards compared with the A4 saloon, although the angled rear pillars mean it’s still not quite as easy to see out of as some rivals, such as the boxier Volkswagen Passat Estate. Fortunately, every version has front and rear parking sensors, while the optional Parking Assistance Pack gives you a 360deg camera and can automatically manoeuvre the car into parallel and bay parking spaces. 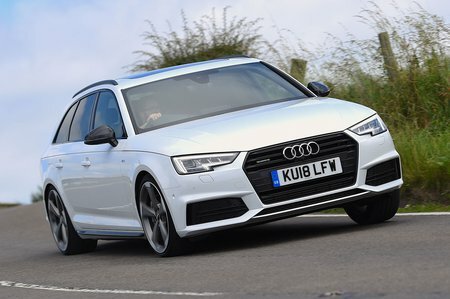 The A4 Avant gets a 7.0in infotainment screen as standard, its features being navigated via a rotary dial positioned between the front seats. You simply twist to scroll through the on-screen menus and press down to select an option, and there are some handy shortcut keys that take you directly to the most commonly used functions. It's a great system that's much easier to use on the move than a touchscreen. So what do you get with the A4? The basics include Bluetooth, a DAB radio, voice control and two USB ports. Apple CarPlay and Android Auto smartphone mirroring are also standard. If you choose to add the optional Technology Pack, this brings the Virtual Cockpit we mentioned earlier, which can mirror the infotainment screen's media, phone and navigation information onto the 12.3in-instrument display behind the steering wheel. The same pack also brings an upgraded 8.3in screen, a three-year subscription to Audi's Connected Services and wireless phone charging. Even this upgrade doesn't quite match the screen size or definition offered by the latest BMW iDrive in the 3 Series, or its functionality for that matter. The overall level of fit and finish is a grade or two above most other cars in this class, with minuscule panel gaps throughout the interior. That said, the Volvo V60 gets pretty close.